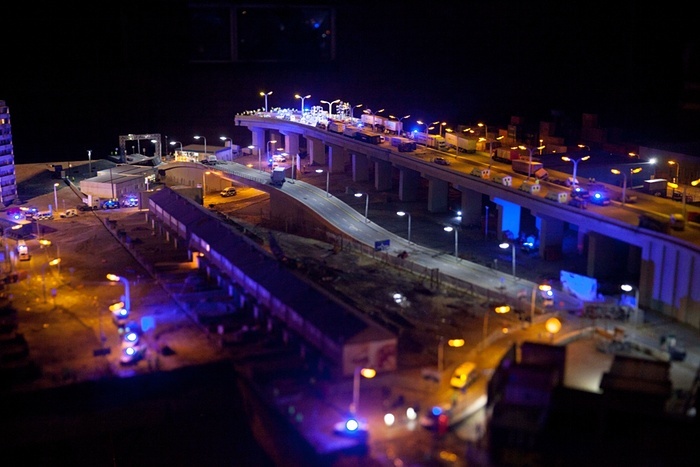 Announcing: ACORN are an official part of Banskys Dismaland! 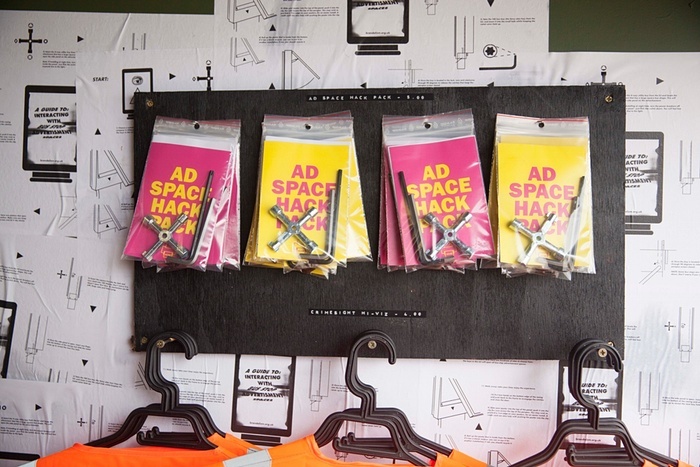 And you can too – we need your help! Visit http://www.acorncommunities.org.uk/disma_volunteer to get involved! New Orleans At the end of a long catch-up Skype call with Stuart Melvin, ACORN United Kingdom’s national organizer, he mentioned he and some of the members were going to be spending some time at an odd street festival of sorts not far from our folks in Bristol, England along the coast in a town called Weston-super-Mare. Stu kinda laughed about it, said he couldn’t really describe it, but I should just Google the name of the town, and I’d get a sense of it. I meant to do so of course, but I didn’t, you know how these things go, there’s only so much time in the day. A couple of mornings later I scan a piece in the New York Times about the latest mashup from world famous street and graffiti artist, and Bristol-native, the ever elusive, Banksy. 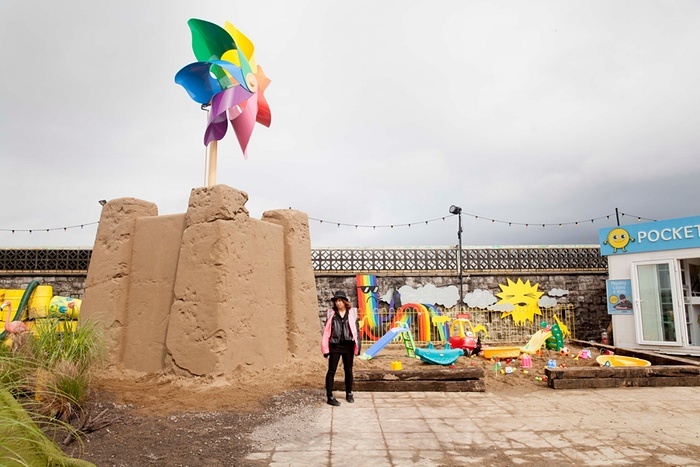 The art community had been wondering what he had been up to during an unusually quiet stretch and suddenly, and in his typical way, secretly it seemed, he had opened a massive thing he called Dismaland on the English seaside. Interesting, I thought and kept on pushing. Later at work an email from Stu says this bizarre experience went well. Ah, that’s right the gang was going to the shore, I’d almost forgotten. 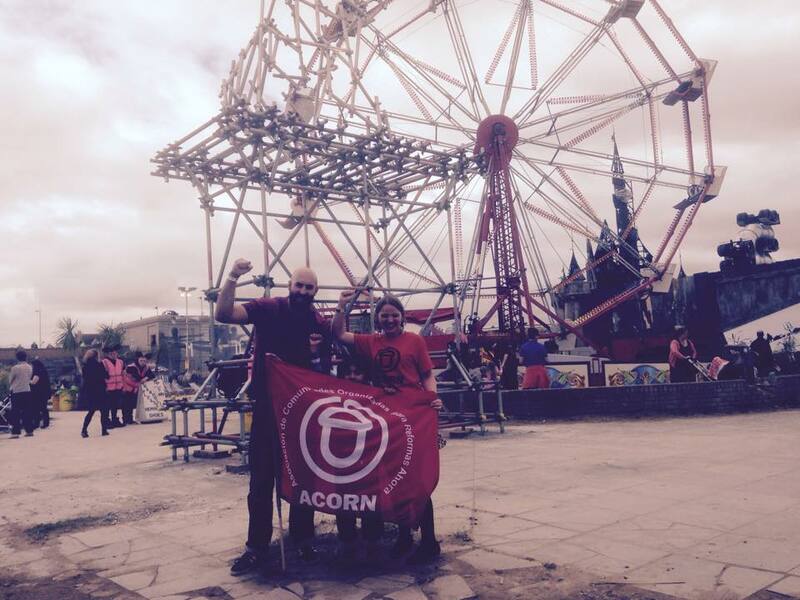 Finally, the pieces came together when I saw a Facebook picture of our crack ACORN Bristol organizer, Nick Ballard, waving an ACORN flag standing next to one of our volunteers, and in the background was, yes, you guessed it, Dismaland! 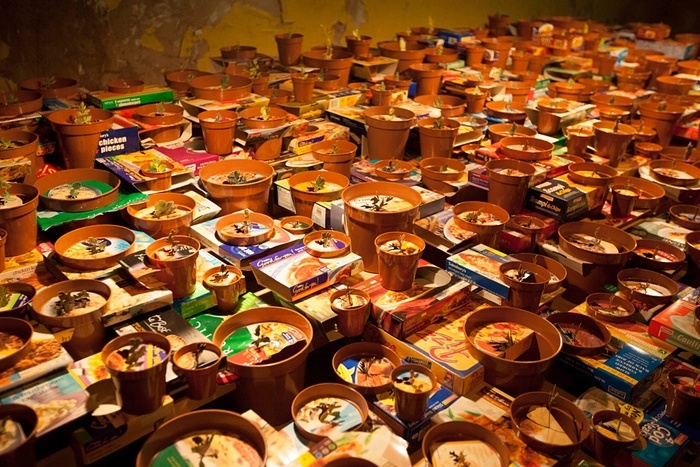 Damned if Banksy and his people, whoever they might be, hadn’t invited ACORN to be one of the street attractions for this 5-week extravaganza that observers believe might attract as many as 400,000 people. No wonder Stu was excited that in his first afternoon out there in a couple of hours we had enrolled 50 provisional ACORN members, all of whom wanted ACORN in their towns! 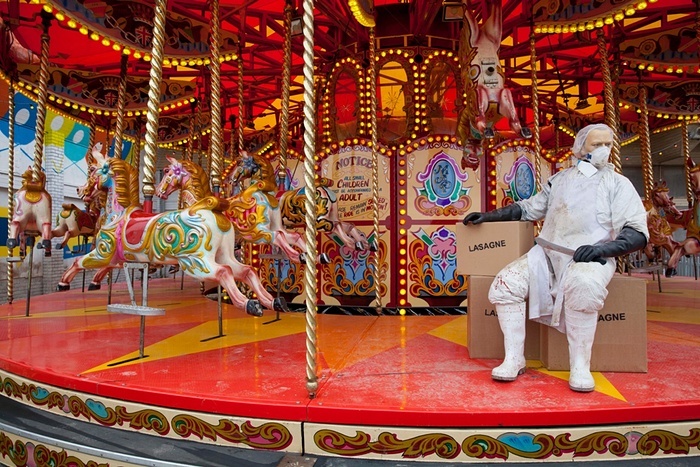 The Guardian refers to Dismaland as a mixture of anarchism and amusement park. I’m Ok with that. Just days before the Bristol ACORN crew had posted pictures of a typical summer day and it was basically a shot of dark, cold, and rain. 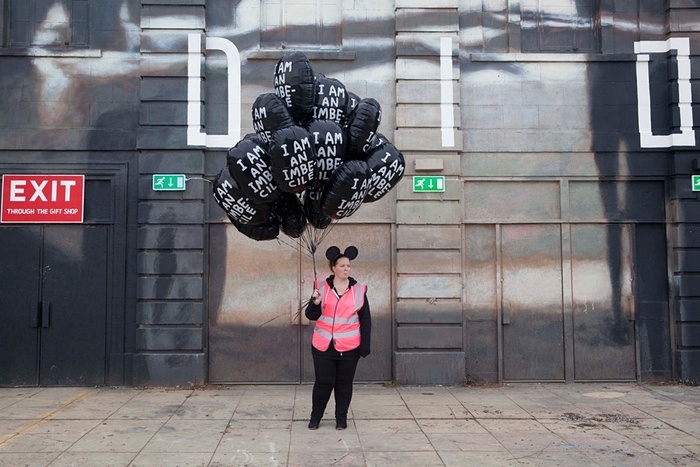 Now reading the descriptions of Dismaland and looking at some of the pictures, what can I say, I wish I were there! For the art lovers, Banksy is displaying 58 artists’ work, and says these are pieces from the best contemporary artists in the world, “apart from the two that turned him down.” He has 10 new pieces on display including a thing on Cinderella where her carriage has crashed killing her and her horses. 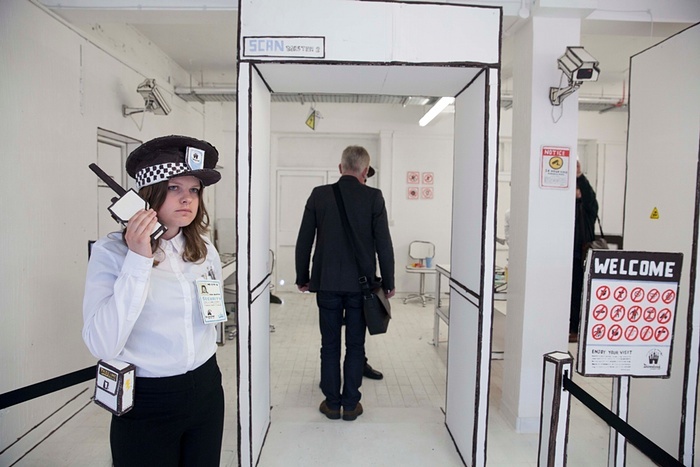 You buy your 3 pound ticket online except that the huge demand has crashed the dismaland.org.uk website of course when I first visited, and then you have to endure a cardboard security station with guards in pink hi-viz vests who tell you that you cannot bring squid into the park. 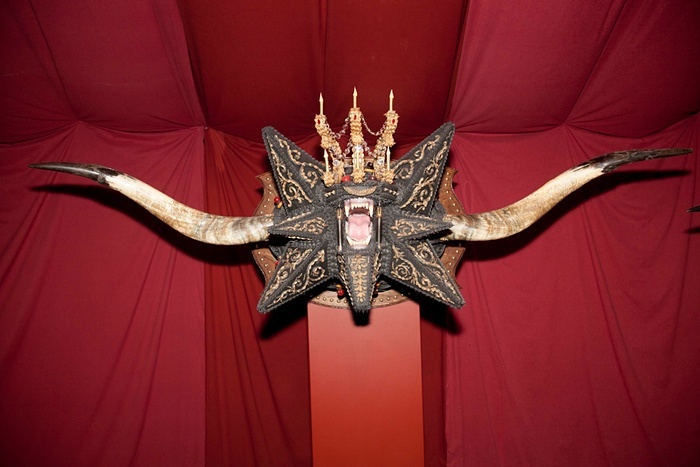 There is a warning that no officials or lawyers from Disneyland are allowed entry of course. How great is this? ACORN is honored and excited to be a part of this whole affair. But, hey, Banksy, what does it take for us to put this show on the road, so we can all go, have some laughs, be part of the fun, and shove our funny bones into the fat guts of the powers that be here and elsewhere around the world? These pictures credited to The Guardian. . . 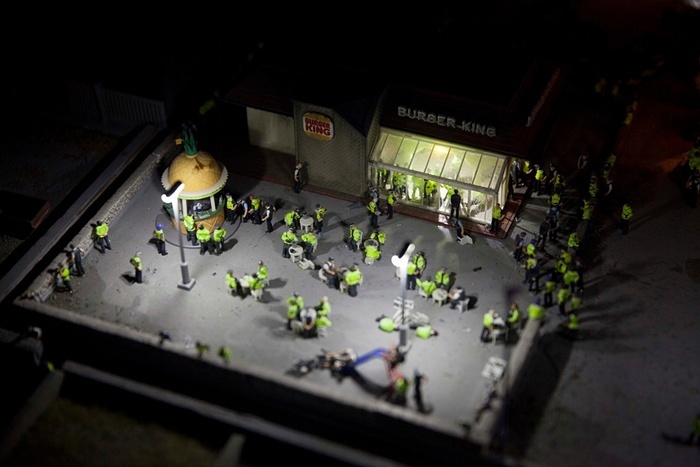 This entry was posted in ACORN, ACORN International, Ideas and Issues and tagged ACORN Bristol, art, Banksy, Dismaland, England by Wade. Bookmark the permalink.